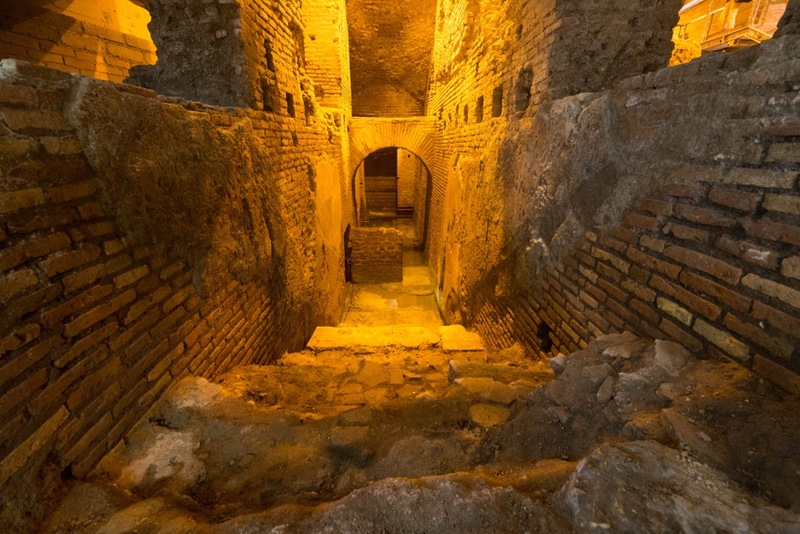 THE CITY OF WATER, underground archaeological area of Vicus Caprarius. Everybody knows the Trevi Fountain, but the underground passages that stretch out under the Trevi district are less know. The underground archaeological area of Vicus Caprarius – the City of Water is part of this intricate labyrinth of ancient remains: the remains of a domus of the imperial era; the castellum aquae of the Aqua Virgo aqueduct; and the suggestive archaeological findings (including the famous head of Alexander Helios) which came to light during the renovation works of the ex Cinema Trevi. In a journey back in time it will be possible to have an understanding of the different age-old stratifications of Rome and observe the archaeological testimony of the great events which have made up the history of the city from the fire of Nero to the construction of the Aqua Virgo aqueduct; from the sack of Alarico to the siege of the Goths. OPENING TIMES: from Tuesday to Friday 11 am – 5.30 pm; Saturday and Sunday 11 am – 7 pm. If is also possible to reserve guided tours for groups on different days and opening hours from those indicated above. ADDRESS: vicolo del puttarello 25, Rome. ENTRANCE FEES: full € 3.00, reduced € 1.50 (over 65 years old, Roma Pass, EU students 18-25 years old, EU teachers), reduced € 1.00 (children 14-18 years old), free of charge (under 14, EU students of architecture or archeology).